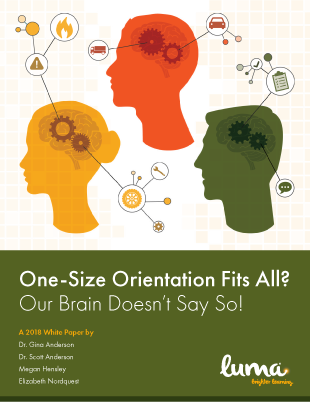 One-Size Orientation Fits All? Our Brain Doesn’t Say So! In this white paper, we introduce a new instructional model, called the E2A Instructional Model, that is based on and proven from our work with many different industries over the past 20 years and on our peer-reviewed research in the learning field. We first describe each component of the model, and then outline a practitioner’s guide on how to use the model successfully in your driver orientation or training program. Fill out the following form to download the paper! Why are you interested in this?